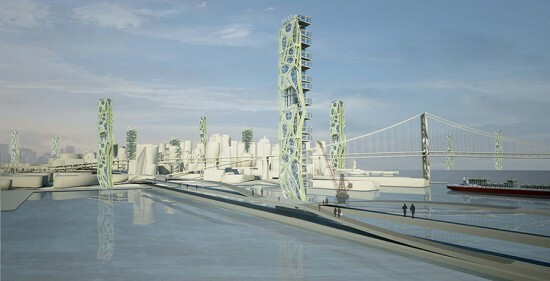 Los Angeles–based architect James Michael Tate will offer a “speculative investigation” of one of architecture's most enduring forms at the University of Michigan's Taubman College of Architecture and Urban Planning, titled Some Views of Triumphal Arches. 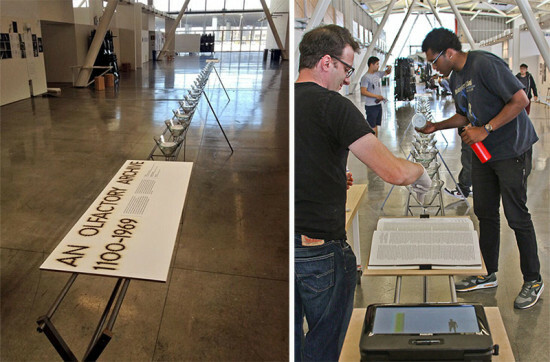 Tate, who was the college's 2014–2015 Willard A. Oberdick Fellow runs the architecture studio practice T8projects and recently co-organized the yearlong series On the Road in L.A. (Read AN's review of On The Road here.) For a year, Tate conducted a “daily ritual of collecting and drawing the principal façade of one triumphal arch: unbuilt, destroyed or standing somewhere in the world at some moment in time.” The resulting exhibition is a reflection on monumentality, and how the various objects relate to each other across time. The architecture school at the California College of the Arts in San Francisco was only founded in 1986 and did not have its own campus until 1997. But the school—housed in a light filled old bus shed in the city's Potrero Hill Design District—is quickly carving out a unique role for itself as a center of architectural creativity and pedagogy. The College, with its dynamic president and acting director of architecture David Gissen, seems to be trying to work forward from its Arts and Crafts traditions (the CCA itself was founded in 1907 in Oakland) but link up with the vibrant and young tech industries and attitude that proliferate in this south of Market area. A sign of this new spirit is a small but fascinating exhibit, An Olfactory Archive: 1738-1969, curated by Gissen and new faculty member Irene Cheng and designed by Brian Price and Matt Hutchinson. The exhibit, Cheng claims, is "an in-depth, sensory exploration of one mode of experimental history: olfactory reconstruction." It features the work of several architects, designers and "perfumers" who focus on reconstructing historical scents. It includes Jorge Otero-Pailos, who reconstructs in the show of the odors of the Glass House, and Aaron Betsky and Herzog and DeMeuron's fragrance, "Rotterdam-Olfactory Object from 2004." The impetus for the show is the work done by Alain Corbin and Dell Upton, who both have highlighted the importance of odor as a historical force, from early nineteenth-century fears of miasmatic contagion to more recent concerns about air quality and pollution. In addition to the exhibit CCA will host Test Sites: Experiments in the History of Space, a symposium devoted to exploring other alternative historical practices such as reconstructions, counterfactual histories, new media, critical conservation, and even destruction. It will feature Lucia Allais, Keller Easterling, Amy Balkin, Amy Balkin, Nicholas de Monchaux, Jorge Otero-Pailos, and Mark Wasiuta. The symposium will take place CCA's Timken Auditoirium on Saturday, October 12 from 10am to 5pm. The exhibit runs through October 13. 3 in 1: Contemporary Explorations in Architecture & Design The Art Institute of Chicago 111 South Michigan Avenue, Chicago, IL Through January 5, 2014 3 in 1 Contemporary Explorations in Architecture and Design is broken down into three small separate exhibitions each revealing different categories: architecture, product design, and fashion. In Reality Lab, the Japanese designer Issey Miyake, head of Reality Lab Studio, reveals a spectrum of diverse and innovative products resulting from his experiments with material, structure, and form. The exhibition includes Miyake’s two products lines: 132 5 and IN EI, which are based on origami-folding techniques that create two-dimensional geometric patterns and unfold into remarkable voluminous forms. Los Angeles architect Greg Lynn’s Stranded Sears Tower explores how computer programming can act as a mode of creative expression. Lynn re-envisions and reconstitutes Chicago’s Sears Tower in order to develop a new kind of flexible and fluid type of architecture. Lastly, the Dutch designers Scholten & Bailings combine craft and industrial practices in order to re-invent everyday objects. 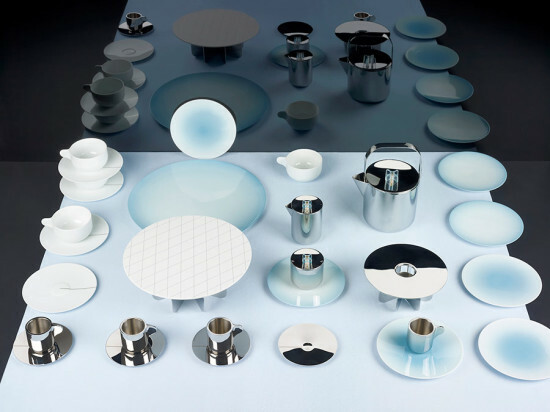 Through the use of different colors, forms, and materials, their Colour reveals the numerous amounts of projects that the designers have accumulated over the past 13 years. Behind Closed Doors: Art in the Spanish American Home, 1492–1898 Brooklyn Museum 200 Eastern Parkway Brooklyn, NY September 20–January 12, 2014 Within a hundred years of the Spanish empire first expanding its borders into the Americas, an abundance of incredible wealth had been amassed in the New World. This September, Brooklyn Museum is opening its doors and inviting visitors into an elite Spanish Colonial home. They will be showcasing extravagant domestic collections, which give insight into the private lives and power struggles of Spain’s New World Elite. Behind Closed Doors, will include paintings, sculptures, luxury goods from everyday life, manuscripts, textiles, and decorative objects. The exhibition explores themes that include representations of the indigenous and Creole elite, rituals in the home, the sala de estrado (women’s sitting room), the bedchamber, and social identity through material culture. 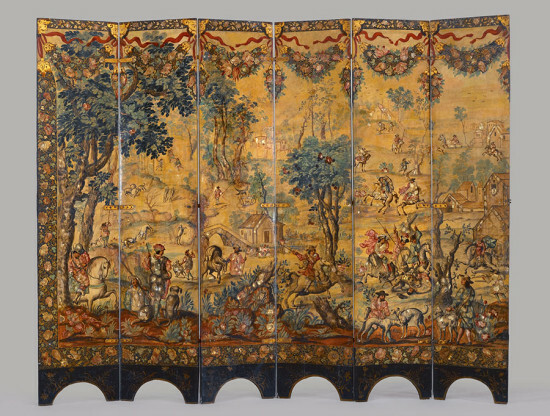 The Brooklyn Museum began acquiring domestic Spanish colonial art in 1941 and now the collection ranks among the finest in the nation. This is the first major exhibition in the United States to explore the private lives and interiors of Spain’s New World elite. Richard Aste, Curator of European Art, organized Behind Closed Doors, which is accompanied by a fully illustrated catalogue co-published by the Museum and the Monacelli Press. 12th and R streets, University of Nebraska, Lincoln, NE Through October 13, 2013 The Sheldon Museum of Art in Lincoln, Nebraska, is currently celebrating the works of Philip Johnson, the influential American architect who promoted the International Style and, later, defined postmodernist architecture. One of his most iconic projects was the design of the Seagram building in Manhattan, a project undertaken in partnership with Mies Van Der Rohe. This particular project marked a decisive shift in Johnson’s career. 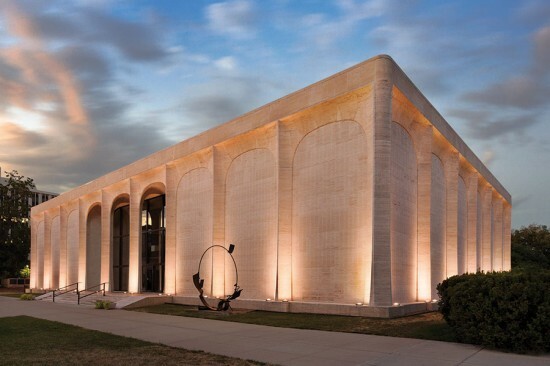 Look for Beauty examines the design journey of Philip Johnson through the examination of three of his earlier museum buildings: Munson-Williams-Proctor Arts Institute, the Amon Carter Museum of American Art, and the Sheldon Memorial Art Gallery (now the Sheldon Museum of Art). These three projects form a coherent study of Johnson’s developing personal style in the early years of his career. The exhibition includes models, plans, furniture, photographic murals, and archival materials such as correspondence, exhibition photographs, and catalogs. Thomas Bayrle: Chrysler Tapete Contemporary Art Museum St. Louis 3750 Washington Blvd, St. Louis, MO September 6, 2013 to October 27, 2013 From September 6 to October 27, the Contemporary Art Museum St. Louis and chief curator Dominic Molon present Chrysler Tapete (1970) as part of the institution’s ongoing Front Room program. One of a series of wallpaper works that German artist Thomas Bayrle has produced since the late 1960s, Chrysler Tapete features the repeated image of an automobile until its distinctiveness subsides into a colossal collectiveness. The purpose is to signify the tension between positive, shared experiences and the feeling of oppressive uniformity. Bayrle, a leader in European Pop Art—frequently referred to as Grey Pop—continues to experiment with painting, sculpture, fashion, and graphic design and currently lives and works in Frankfurt am Main, Germany. Through solo and group exhibitions, his objective is to uncover how our society of mass production and consumption influences our understanding of the world. 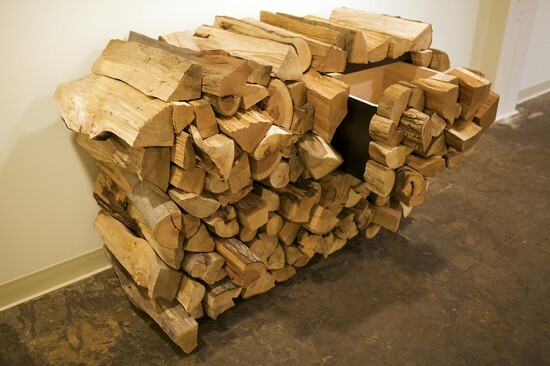 Bayrle investigates how physical space, scale, and pattern influence the observer. Chrysler Tapete, consisting of silkscreen print on paper, has an intense visual presence that provides visitors with a new way to experience the exhibition space itself, a fitting role as the installation coincides with the tenth anniversary of the Contemporary Art Museum’s building. Ken Price’s colorful, sensual ceramic sculptures have always posed the question as to whether they are art or craft. But the blur may also include the architectonic. His signature forms—cups and eggs—set up a tension between exterior and interior. New York Times art critic Roberta Smith has written: "Their forms oscillated between the biomorphic and the geometric, the geological and the architectural." Price’s friend, Frank Gehry, designed the installation of the exhibition, Ken Price Sculpture: A Retrospective, currently on view at the Metropolitan Museum of Art through September 22. He lives with Price’s ceramics, his first purchase being a cup festooned with snails. Gehry wrote of Price’s work, "They were like buildings." He cited a cup with a twisted piece at the top, and sees the similarity to his California Aerospace Museum, 1982-84, featuring an airplane jutting out of the structure. 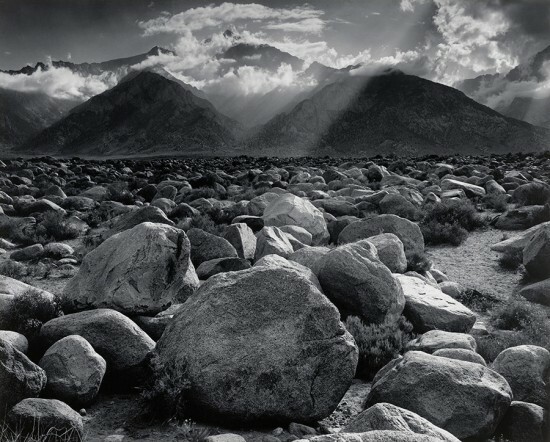 "I think the similarity of form was totally unconscious. Now I think a lot of architects must have been looking at those cups…the relationships are amazing." The relationship was probably both ways. 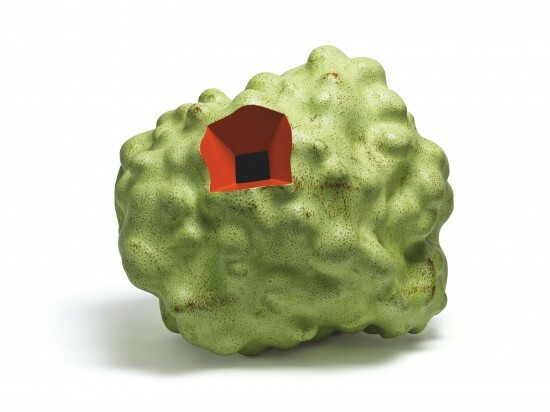 The catalogue makes compelling visual analogies between Price’s Untitled (Slate Cup) from 1972-77 with Frank Lloyd Wright’s Fallingwater; the blocky orange flats perched on yellow sides of Hawaiian from 1980, are compared with cliffside pueblo dwelling (both have small dark cutout “windows” set into rectangles) as well as OMA’s Seattle Public Library. Think of the openings into his sculptural forms, whether small or large, as the mysterious entrance to a darkened, monumental temple. With Price, scale is relative—Price quoted artist Joseph Cornell, whose boxes he admired: “Tiny is the last refuge of the enormous.” Ken Price Sculpture: A Retrospective on view at the Metropolitan Museum of Art, 1000 Fifth Ave., through September 22. Mixtec Stonecutting Artistry: 16th Century Ribbed Vaults in Mixteca, Mexico HGA Gallery Rapson Hall, Goldstein Museum of Design, University of Minnesota 89 Church Street SE, Minneapolis, MN August 24, 2013 to October 13, 2013 Sixteenth century Mexico was home to buildings of extraordinary construction quality erected for the thousands of people converting to Christianity. 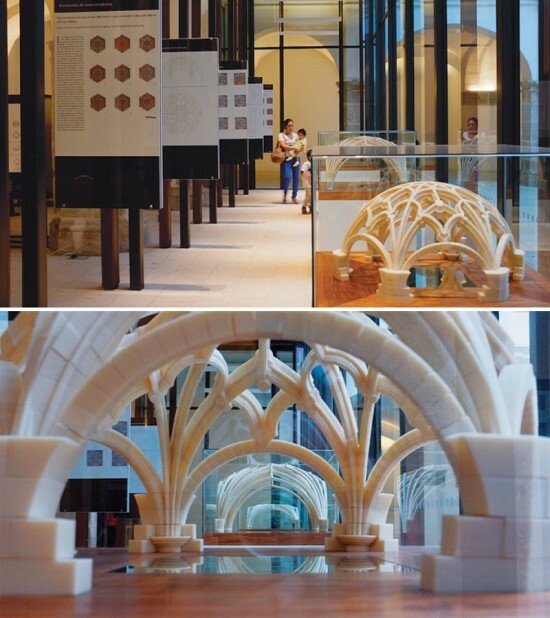 Indigenous craftsmen utilized the most sophisticated technology and their profound understanding of locally accessible materials in an intricate system of symbiosis to collaborate with Spanish architects who were experienced with the architecture of the ribbed vault. Employing Mixtecan masonry techniques and European geometry, they collaborated to construct three churches in the Mixteca region of southern Mexico with sophisticated geometrical vaults unique to 16th century America. Through digitally scanning San Pablo Teposcolula, Santa Domingo Yanhuitlán, and San Juan Bautista Coixtlahuaca, researcher and guest curator Benjamin Ibarra-Sevilla, Assistant Professor of Architecture at the University of Minnesota’s College of Design, was able to produce scale replicas of each gothic dome. Mixtec Stonecutting Artistry: 16th Century Ribbed Vaults in Mixteca, Mexico, on view from August 24 to October 13, 2013, reveals the complex digital scanning, documentation, and three-dimensional modeling that facilitated the research and replication of the rib vaults in the late 20th century. Unbuilt San Francisco Multiple venues San Francisco Through November 2013 AIA San Francisco/Center for Architecture + Design, California Historical Society/SPUR, The Environmental Design Archives at UC Berkley, and the San Francisco Public Library present this ambitious collaborative exhibition of architecture that never came to be. Spread throughout five venues, Unbuilt San Francisco describes a parallel history of “what if’s” and “could have beens” of architecture and urban design that were too fantastic or too grandiose for the City by the Bay. These unrealized visions offer San Franciscans a glimpse of the hopes and ambitions of past generations, as well as provide inspiration for the future of architecture and the city. Images offered in the exhibition include a grand casino on Alcatraz, freeways encircling the city, rejected neighborhood renewal plans, alternate designs for famous landmarks including San Francisco City Hall and the Ferry Building, and ecological provocations of today’s architectural vanguard. The opening reception will be held in Annie Alley between 678 and 654 Mission Street in San Francisco on September 6 at 5:00 p.m.
EXPO 1: New York MoMA PS1 22-25 Jackson Avenue Long Island City, NY Through September 2 EXPO 1: New York is an art festival dedicated to the environmental and sociopolitical challenges of the 21st Century that runs through September 2. In addition to occupying the entirety of MoMA PS1’s Long Island City home, the show encompasses exhibitions at other venues throughout New York City, including the Rain Room at the Museum of Modern Art and the VW Dome 2 at Rockaway Beach. The festival is centered on the idea of what its curators call “dark optimism.” The exhibitions, installations, and prototypes featured in the festival suggest the end of an era plagued by climate change, economic suffering, and political strife, and the beginning of a new, brighter future. Highlights include the legendary artist-environmentalist Ansel Adams’ photographs, Meg Webster’s site-specific ecosystem Pool, and Olafur Eliasson’s glacial ice installation Your waste of time in the basement of MoMA PS1. Robert Irwin’s “Scrim veil—Black rectangle—Natural light” The Whitney Museum of American Art 945 Madison Avenue New York, NY Through September 1 It has been 36 years since Robert Irwin, now 84 years old, debuted his Scrim veil—Black rectangle—Natural light installation at the Whitney Museum of American Art. This summer, the legendary installation, designed specifically for the fourth floor of the Breuer building, returns to the museum. 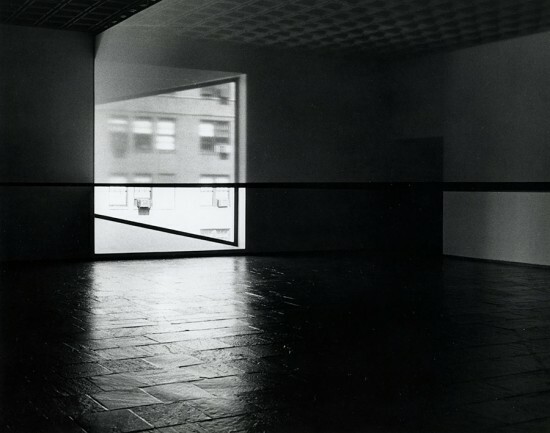 As the title suggests, Irwin’s minimalist installation is composed of three simple elements: a black line that runs along the length of the gallery walls, natural light that enters through the museum’s iconic trapezoidal window, and a white translucent polyester scrim hung from the ceiling that slices through the space. These elements divide the space into various geometric forms and create a disorienting experience. As visitors circle the gallery and daylight moves across the room, the perception of space is shown to be less definite than one might previously have imagined.